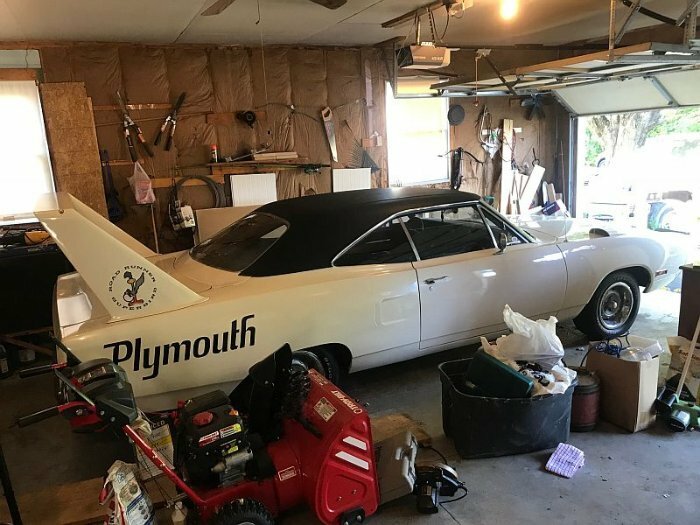 A gentleman who is fortunate enough to own not one, not two, but three 1970 Plymouth Superbirds is selling off two-thirds of his Superbird collection. He has one clean one he just bought at an auction and two not-so-clean examples that he subsequently purchased from out of a garage they've been sitting in for a few decades. The two non-running fixer-uppers are now for sale. There’s a little dispute over the number, but the most widely accepted real-life production number for the legendary 1970 Plymouth Superbird seems to be 1,935 for the U.S. market. With a production run that small and with such a sky-high collectibility factor, it’s rare enough for anybody to own one of these things and even more rare for anyone to own multiple. Here's the story of how the collector in question ended up with three Superbirds according to the eBay listing. 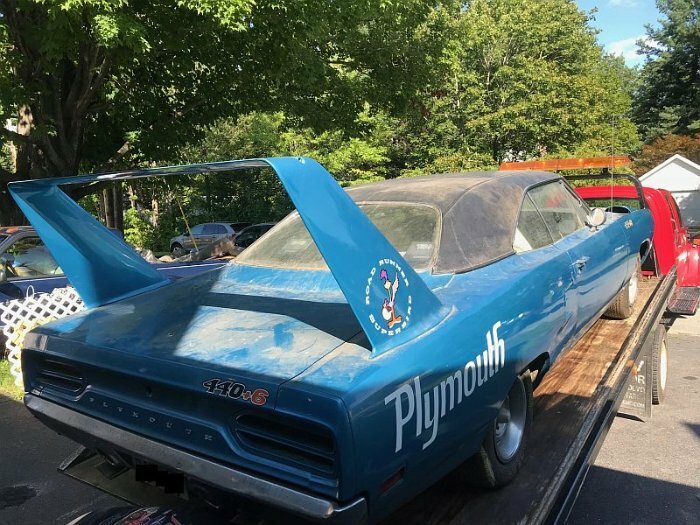 The seller, named amistadi, bought a gorgeous B5 Blue 1970 Plymouth Superbird with a white interior at the New England Auto Auction at the Owl’s Head Transportation Museum in Maine. The hammer price was $187,000 which was under the estimate and you can see the car in full detail here. 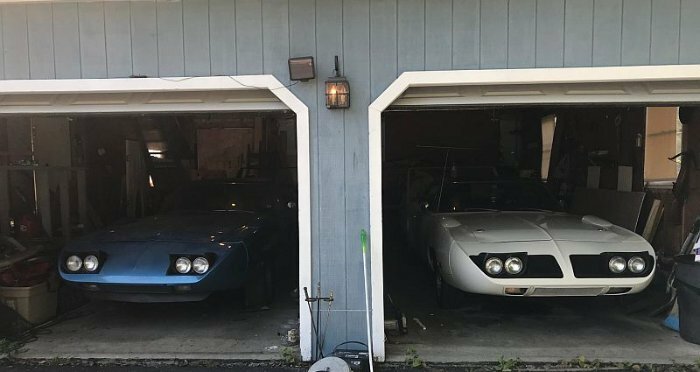 After he won the auction, someone approached him saying he has two Superbirds, a blue one and a white one, that he’s trying to get rid of and asked if he’d be interested in seeing them. 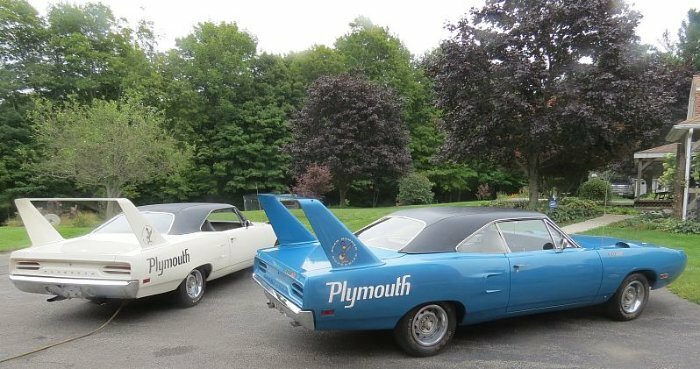 Three Superbirds are better than one, so he went and looked at them. This guy was the second owner of both cars and they had been sitting in storage since the 1980s with straight antifreeze in both 440-cubic-inch Super Commando V-8 engines and something called Marvel Mystery lubricating oil in the cylinders to preserve the engines as they sat. These cars are equipped with four-barrel carburetors despite the blue one having "440+6" badging on it. 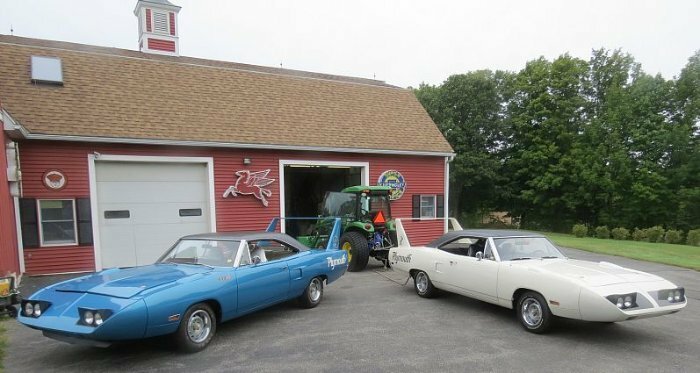 The man who had just purchased his clean old Plymouth Superbird bought these barn finds on the spot after verifying their authenticity and now has three of these super high-value classic muscle cars on his hands. And two of them could be yours. He’s keeping the clean one he bought at the New England Auto Auction and trying to sell the two barn finds one at a time but is also open to selling them as a pair. As of this writing, the blue one has a current bid of $128,700 and has not yet met the reserve. Based on the listing, both of these cars are fantastic candidates for restoration. They’re rust-free, straight cars that will take some work and serious expertise to make them roadworthy again, but in the right hands, they could very well be returned to their former glory. For more pictures, more details, or to place a bid, check out the eBay listing and try not to get lost in the 100-plus photos. What is the best sounding exhaust system for the Dodge Hellcat?